The most important of these names was the nomen gentilicium, or simply nomen, a hereditary surname that identified a person as a member of a distinct gens. This was preceded by the praenomen, or "forename", a personal name that served to distinguish between the different members of a family. The origin of this binomial system is lost in prehistory, but it appears to have been established in Latium and Etruria by at least 650 BC. In written form, the nomen was usually followed by a filiation, indicating the personal name of an individual's father, and sometimes the name of the mother or other antecedents. Toward the end of the Roman Republic, this was followed by the name of a citizen's voting tribe. Lastly, these elements could be followed by additional surnames, or cognomina, which could be either personal or hereditary, or a combination of both. The Roman grammarians came to regard the combination of praenomen, nomen, and cognomen as a defining characteristic of Roman citizenship, known as the tria nomina. However, although all three elements of the Roman name existed throughout most of Roman history, the concept of the tria nomina can be misleading, because not all of these names were required or used throughout the whole of Roman history. During the period of the Roman Republic, the praenomen and nomen represented the essential elements of the name; the cognomen first appeared among the Roman aristocracy at the inception of the Republic, but was not widely used among the plebeians, who made up the majority of the Roman people, until the second century BC. Even then, not all Roman citizens bore cognomina, and until the end of the Republic the cognomen was regarded as somewhat less than an official name. By contrast, in imperial times the cognomen became the principal distinguishing element of the Roman name, and although praenomina never completely vanished, the essential elements of the Roman name from the second century onward were the nomen and cognomen. In Latin, most nomina were formed by adding an adjectival suffix, usually -ius, to the stem of an existing word or name. Frequently this required a joining element, such as -e-, -id-, -il-, or -on-. Many common nomina arose as patronymic surnames; for instance, the nomen Marcius was derived from the praenomen Marcus, and originally signified Marci filius, "son of Marcus". In the same way, Sextius, Publilius, and Lucilius arose from the praenomina Sextus, Publius, and Lucius. [iii] This demonstrates that, much like later European surnames, the earliest nomina were not necessarily hereditary, but might be adopted and discarded at will, and changed from one generation to the next. The practice from which these patronymics arose also gave rise to the filiation, which in later times, once the nomen had become fixed, nearly always followed the nomen. Other nomina were derived from names that later came to be regarded as cognomina, such as Plancius from Plancus or Flavius from Flavus; or from place-names, such as Norbanus from Norba. The praenomen was a true personal name, chosen by a child's parents, and bestowed on the dies lustricius, or "day of lustration", a ritual purification performed on the eighth day after the birth of a girl, or the ninth day after the birth of a boy. [iv] Normally all of the children in a family would have different praenomina. [v] Although there was no law restricting the use of specific praenomina,[vi] the choice of the parents was usually governed by custom and family tradition. An eldest son was usually named after his father, and younger sons were named after their father's brothers or other male ancestors. In this way, the same praenomina were passed down in a family from one generation to the next. Not only did this serve to emphasize the continuity of a family across many generations, but the selection of praenomina also distinguished the customs of one gens from another. The patrician gentes in particular tended to limit the number of praenomina that they used far more than the plebeians, which was a way of reinforcing the exclusiveness of their social status. Of course, there were many exceptions to these general practices. A son might be named in honour of one of his maternal relatives, thus bringing a new name into the gens. Because some gentes made regular use of only three or four praenomina, new names might appear whenever a family had more than three or four sons. Furthermore, a number of the oldest and most influential patrician families made a habit of choosing unusual names; in particular the Fabii, Aemilii, Furii, Claudii, Cornelii, and Valerii all used praenomina that were uncommon amongst the patricians, or which had fallen out of general use. In the last two centuries of the Republic, and under the early Empire, it was fashionable for aristocratic families to revive older praenomina. The nomen gentilicium, or "gentile name",[vii] designated a Roman citizen as a member of a gens. A gens, which may be translated as "race", "family", or "clan", constituted an extended Roman family, all of whom shared the same nomen, and claimed descent from a common ancestor. Particularly in the early Republic, the gens functioned as a state within the state, observing its own sacred rites, and establishing private laws, which were binding on its members, although not on the community as a whole. Quintus Fabius Maximus Verrucosus, surnamed "Cunctator". Filiations were normally written between the nomen and any cognomina, and abbreviated using the typical abbreviations for praenomina, followed by f. for filius or filia, and sometimes n. for nepos (grandson) or neptis (granddaughter). Thus, the inscription S. Postumius A. f. P. n. Albus Regillensis means "Spurius Postumius Albus Regillensis, of Aulus the son, of Publius the grandson". "Tiberius Aemilius Mamercinus, the son of Lucius and grandson of Mamercus" would be written Ti. Aemilius L. f. Mam. n. Mamercinus. The more formal the writing, the more generations might be included; a great-grandchild would be pron. or pronep. for pronepos or proneptis, a great-great-grandchild abn. or abnep. for abnepos or abneptis, and a great-great-great-grandchild adnepos or adneptis. [viii] However, these forms are rarely included as part of a name, except on the grandest of monumental inscriptions. The filiation sometimes included the name of the mother, in which case gnatus[ix] would follow the mother's name, instead of filius or filia. [x] This is especially common in families of Etruscan origin. The names of married women were sometimes followed by the husband's name and uxor for "wife". N. Fabius Q. f. M. n. Furia gnatus Maximus means "Numerius Fabius Maximus, son of Quintus, grandson of Marcus, born of Furia",[xi] while Claudia L. Valeri uxor would be "Claudia, wife of Lucius Valerius". An example of the filiation of slaves and freedmen would be: Alexander Corneli L. s., "Alexander, slave of Lucius Cornelius", who upon his emancipation would probably become L. Cornelius L. l. Alexander, "Lucius Cornelius Alexander, freedman of Lucius"; it was customary for a freedman to take the praenomen of his former owner, if he did not already have one, and to use his original personal name as a cognomen. Another example might be Salvia Pompeia Cn. Ɔ. l., "Salvia Pompeia, freedwoman of Gnaeus (Pompeius) and Gaia"; here Gaia is used generically, irrespective of whether Pompeius' wife was actually named Gaia. A freedman of the emperor might have the filiation Aug. l., Augusti libertus. From the beginning of the Roman Republic, all citizens were enumerated in one of the tribes making up the comitia tributa, or "tribal assembly". This was the most democratic of Rome's three main legislative assemblies of the Roman Republic, in that all citizens could participate on an equal basis, without regard to wealth or social status. Over time, its decrees, known as plebi scita, or "plebiscites" became binding on the whole Roman people. Although much of the assembly's authority was usurped by the emperors, membership in a tribe remained an important part of Roman citizenship, so that the name of the tribe came to be incorporated into a citizen's full nomenclature. When this occurred, praenomina could be and frequently were used to distinguish between sisters. However, it was also common to identify sisters using a variety of names, some of which could be used as either praenomina or cognomina. For example, if Publius Servilius had two daughters, they would typically be referred to as Servilia Major and Servilia Minor. If there were more daughters, the eldest might be called Servilia Prima or Servilia Maxima;[xii] younger daughters as Servilia Secunda, Tertia, Quarta, etc. All of these names could be used as praenomina, preceding the nomen, but common usage from the later Republic onward was to treat them as personal cognomina; when these names appear in either position, it is frequently impossible to determine whether they were intended as praenomina or cognomina. Most Roman women were known by their nomina, with such distinction as described above for older and younger siblings. If further distinction were needed, she could be identified as a particular citizen's daughter or wife. For instance, Cicero refers to a woman as Annia P. Anni senatoris filia, which means "Annia, daughter of Publius Annius, the senator". 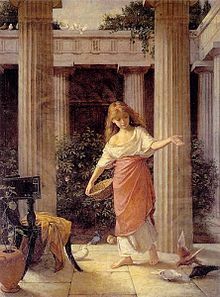 However, toward the end of the Republic, as hereditary cognomina came to be regarded as proper names, a woman might be referred to by her cognomen instead, or by a combination of nomen and cognomen; the daughter of Lucius Caecilius Metellus was usually referred to as Caecilia Metella. Sometimes these cognomina were given diminutive forms, such as Agrippina from the masculine Agrippa, or Drusilla from Drusus. At the age of eighteen in 44 BC, Octavius was nominated magister equitum by his granduncle, Gaius Julius Caesar, who held the office of dictator. On the Ides of March, Caesar was assassinated, without legitimate children; but in his will he adopted his nephew, who then became C. Julius C. f. Caesar Octavianus, "Gaius Julius Caesar Octavianus, son of Gaius". Thus far, his name follows the Republican model, becoming that of his adoptive father, followed by his original nomen in the form of an agnomen. During the Empire, a variety of new naming conventions developed which, while differing, were internally coherent. In order to reflect an illustrious pedigree or other connections, the aristocracy expanded the binary nomenclature concept to include other nomina from an individual's paternal and maternal ancestry. There was no limit to the number of names which could be added in this way (known as polyonomy), and, for example, the consul of 169 AD, (usually called Q. Sosius Priscus) had thirty-eight names comprising fourteen sets of nomina reflecting a complex pedigree stretching back three generations. With the Constitutio Antoniniana in 212, the emperor Caracalla granted Roman citizenship to all free inhabitants of the empire. It had long been the expectation that when a non-Roman acquired citizenship he, as part of his enfranchisement, took on a Roman name. With the mass enfranchisement of 212, the new citizens adopted the nomen "Aurelius" in recognition of Caracalla’s beneficence (the emperor's full name was Marcus Aurelius Severus Antoninus Augustus, with Aurelius as the nomen). "Aurelius" quickly became the most common nomen in the east and the second most common (after "Julius") in the west. The change in the origins of the new governing elite that assumed control of the empire from the end of the third century can be seen in their names: seven of the thirteen emperors between Gallienus and Diocletian bore the name "Marcus Aurelius"
Although a nomen would long be required for official purposes, and, in isolated corners of the empire and in parts of Italy, its usage would persist into the seventh century, the nomen was generally omitted from the name (even of emperors) by the third century. 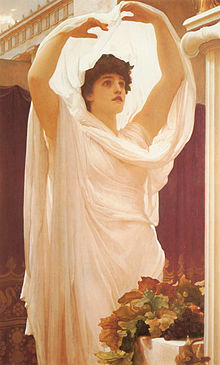 ^ Livy refers to this as a cognomen, or "surname", which in later Roman practice was the third element of the Roman tria nomina; but it must be remembered that the word nomen simply means "name", and before the adoption of a second name, this is how the praenomen would have been called; thus, the first surnames adopted would have been known as cognomina before their gradually-increasing importance caused the word nomen to refer to them, while the original personal name became known as the praenomen, or "forename". ^ Although a few individuals mentioned in relation to the period of and before Rome's legendary foundation in the eighth century BC are known by only a single name, it is equally difficult to discern which of these represent actual historical figures, and if so, whether their names were accurately remembered by the historians who recorded these myths centuries later. Romulus and Remus, together with their foster-father, the herdsman Faustulus, are among those easily remembered; but even supposing that Romulus and Remus are the names of historical persons, they belonged, in theory, to the royal house of the Silvii; or they might have borne no surname because they were said to have been fathered by Mars himself. Meanwhile, Faustulus may represent a mythical personage interjected into Rome's foundation legend; although it may be noted that his name is a diminutive of the Latin praenomen Faustus. Almost all other persons mentioned as part of the traditions surrounding Romulus as the first King of Rome have both praenomen and nomen. ^ So common was this practice that nearly all Latin praenomina gave rise to patronymic nomina, including many that were uncommon in historical times. ^ In his treatise, De Praenominibus, Probus cites Quintus Mucius Scaevola, an authority on Roman law, for the proposition that boys did not receive a praenomen before assuming the Toga virilis, signifying the transition into adulthood, and that girls did not receive a praenomen before marriage. But this appears to refer to some sort of formal ceremony in which a praenomen was granted or confirmed, rather than the original act of naming. 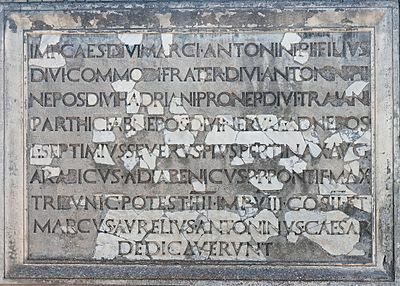 The funerary inscriptions of many Romans who died in childhood conclusively demonstrate that Roman children had praenomina. ^ As usual, there were exceptions to this policy as well; for instance, among the Fabii Maximi, several brothers in a single family were all named Quintus; in the first century AD, the Flavii Sabini all bore the praenomen Titus, but were distinguished in each generation by the use of different cognomina. Also, because praenomina had grammatical gender, a brother and sister could have the same praenomen, in masculine and feminine forms, and still be easily distinguished. ^ A few exceptions are noted by the ancient historians; for example, supposedly no member of the Junia gens was named Titus or Tiberius after two brothers of this name, sons of the consul Lucius Junius Brutus, were put to death for plotting to restore the Roman monarchy. The Manlia gens is said to have forbidden the use of Marcus after the condemnation of Marcus Manlius Capitolinus; and after the death of Marcus Antonius and the execution of his son, it was decreed that none of the Antonii should ever again be named Marcus. However, all of these supposed prohibitions were subsequently broken. ^ Although this use of the term gentile has the same origin as the term used to distinguish non-Jews from the Jewish population, its meaning is purely civil, and has nothing to do with ethnic or religious identity; in this use it simply refers to a member of a gens, distinguished by his or her surname, and in this sense the term gentile name is used today without any religious connotation, despite (or perhaps because of) the use of Christian name to refer to personal names. In this sense, Romanized Jews could also be gentiles, and gentiles could be Jewish! This is also the origin of the term gentleman; the association of gentlemen with courtesy developed later. ^ Also spelled atnepos and atneptis. ^ Also spelled natus; this could be abbreviated gn., gnat., or, perhaps confusingly, n.
^ Evidently there were exceptions to this as well. CIL ii. 4566 gives the name Fabia Domitia Ɔ. f. Secunda, in which Ɔ. f. can only be read "Gaiae filia" (the use of an inverted C. for "Gaia" was common in the filiations of freedmen, but apparently not restricted to them; see below); this may be the same woman referred to as Fabia Domitia D. f. Secunda, CIL ii. 1806, in the latter case giving her father's name. Both inscriptions are from Roman Spain, and are also notable for the doubled nomen and for the cognomen Secunda, which in this case is really a praenomen placed after the filiation, a common practice in Roman women's names of this period. 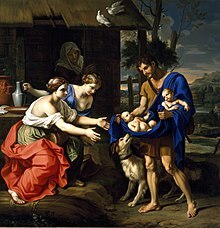 ^ Note that while the names of the father and grandfather are genetive (Quinti filius, Marci nepos), the mother's name is ablative; the translation "born of" is simply idiomatic in English. "Born to" would also be idiomatic, but could imply the dative case. ^ However, the eldest daughter, who might have been called by her nomen alone for several years, might continue to be so called even after the birth of younger sisters; in this case only the younger sisters might receive distinctive personal names. ^ In such cases, the filiation, if present, would indicate if someone were a freedman; but in these particular instances the nomina suggest citizens of provincial origin, who have been enfranchised by imperial decree. ^ a b c d e f g h i j k l m n o p q r s t u v w x y Oxford Classical Dictionary, 2nd Ed. (1970), "Names, Personal." ^ a b c d e f g h i j k l m n o p q r Benet Salway, "What's in a Name? A Survey of Roman Onomastic Practice from c. 700 B.C. to A.D. 700", in Journal of Roman Studies, vol. 84, pp. 124–145 (1994). ^ a b c Gaius Titius Probus, De Praenominibus, epitome by Julius Paris. ^ a b c d e f g h i j k l Harper's Dictionary of Classical Literature and Antiquities, Second Edition, Harry Thurston Peck, Editor (1897), "Nomen." ^ a b Titus Livius, Ab Urbe Condita i. 3. ^ Titus Livius, Ab Urbe Condita i. 4–16. ^ Titus Livius, Ab Urbe Condita vi. 20. ^ Sextus Pompeius Festus, epitome of Marcus Verrius Flaccus, De Verborum Significatu, s.v. "Numerius." ^ a b c George Davis Chase, "The Origin of Roman Praenomina", in Harvard Studies in Classical Philology, vol. VIII (1897). ^ a b Harper's Dictionary of Classical Literature and Antiquities, Second Edition, Harry Thurston Peck, Editor (1897), "Adoption." ^ Oxford Classical Dictionary, 2nd Ed. (1970), "Adoption." ^ James Chidester Egbert, Jr., Introduction to the Study of Latin Inscriptions (American Book Company, 1896). ^ a b c Harper's Dictionary of Classical Literature and Antiquities, Second Edition, Harry Thurston Peck, Editor (1897), "Tribus." ^ a b c Oxford Classical Dictionary, 2nd Ed. (1970), "Tribus." ^ Harper's Dictionary of Classical Literature and Antiquities, Second Edition, Harry Thurston Peck, Editor (1897), "Comitia." Salway, Benet (1994). "What's in a name? A survey of Roman onomastic practice from c.700 b.c. to 700 a.d.". Journal of Roman Studies. 84: 124–145.